When I started out on this adventure, I knew that there were a lot of holes in my (very limited) knowledge that were going to need filling if I was to be able to bring the project to a successful conclusion. I have been doing a lot of reading, but I have been finding that there are occasions where a few words from someone "in the know" can explain something that I struggle to understand from books or web searches. This empirical knowledge is probably already documented in books and other websites, but for my own benefit, I have decided to capture these significant "words of wisdom" on this page for future reference. There is likely to be little structure to this page and may be nothing more than a few disjointed notes, but for what it's worth - here it is! 27/10/13 Trying to understand the function of the VDP interrupt output (/VDPINT) function used in the MTX, connected to CTC input 0. 28/10/13 The Z80 CTC (Counter Timer Circuit) is an interrupt controller as well as a four-channel counter or timer. When /VDPINT goes low at the end of the last active display line*, the desired action is to interrupt the Z80 as soon as possible. The CTC achieves this by decrementing the channel 0 down-counter on the falling edge of its clock input pin (connected to /VDPINT) and when the down-counter becomes zero the CTC pulls /INT low and provides the Z80 with an interrupt vector during the subsequent interrupt acknowledge cycle. In order that every VDP interrupt generates a Z80 interrupt the down-counter is programmed with the value 1, which is re-loaded into the counter automatically when it reaches zero. At the same time the channel 0 output goes high, so is in effect the inverse of /VDPINT with a short time lag. This output is not needed for anything, which is why the pin is unconnected. Due to pin limitations, channel 3 has no output and could have been used for /VDPINT but channel 0 was chosen instead as it has the highest priority. 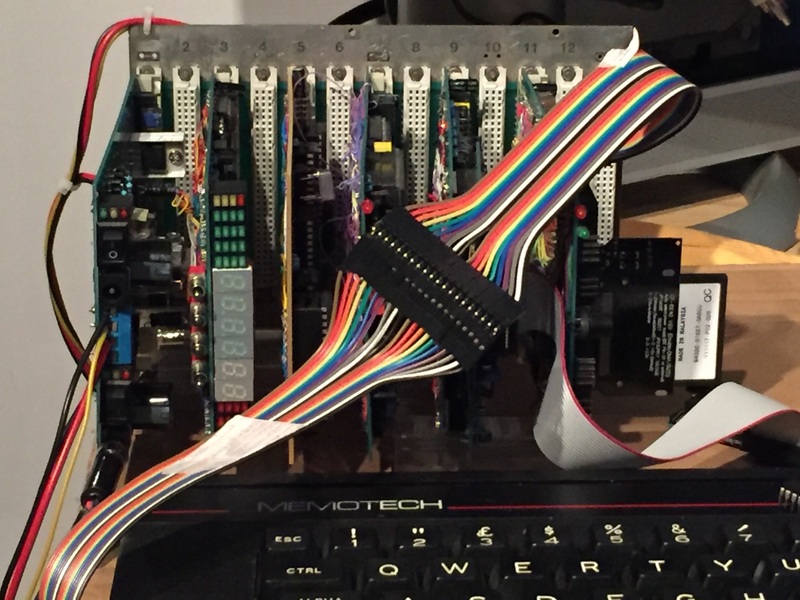 * In contrast the ZX Spectrum ULA does not generate an interrupt until the start of the vertical sync, wasting a considerable time (over 3.5 milliseconds) that could been spent refreshing the screen "invisibly" and without memory contention. All 4 channels can count 4MHz clock ticks (timer mode) or their channel specific input (ch0=VDP, ch1 & 2=4MHz/13, ch3=cassette). Then reach zero, channel output triggers (ch1/2 feed DART). This is the reason the clock is divided by 13 by an IC on the motherboard - so that it can be fed into the CTC and divided to make all the various baud rates, to then drive the DART. 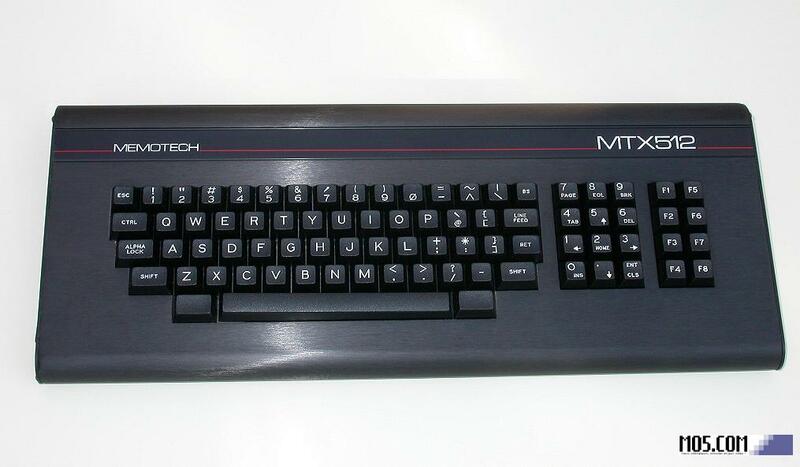 01/03/13 The specification of the original MTX was a very close match to MSX computers, the main differences being the Video Display Processor and the Complex Sound Generator. 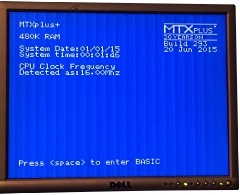 As the MTXPlus design develops, there may be an opportunity to add MSX compatibility too. The original intent was to use a 20MHz Z80 clocked at full speed, but will now be 16MHz. 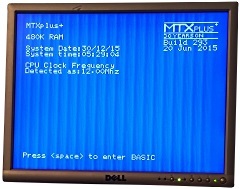 Martin identified a potential issue with having a 20MHz system clock. "At 20 MHz the cycle time is 50ns, allowing a cycle and a half for a read/write gives 75ns to play with. Most Flash Chips are 70ns, as is the RAM in Lez's kit of Z80 parts. That doesn’t allow enough time for the chip select logic. The CPLD needs at least 15ns. At 16 MHz there’s some room to play with. The cycle time increases to 62 ns, and read/write stretches to 93ns. 15ns for the CPLD leaves 78ns for the memory. That’s then in theory plenty for 70ns ram and or flash. 16 MHz might make the clock circuit more versatile too.?" Taking Martin's points on board, the clock speed will now be 16MHz with additional 8MHz and 4MHz rates. 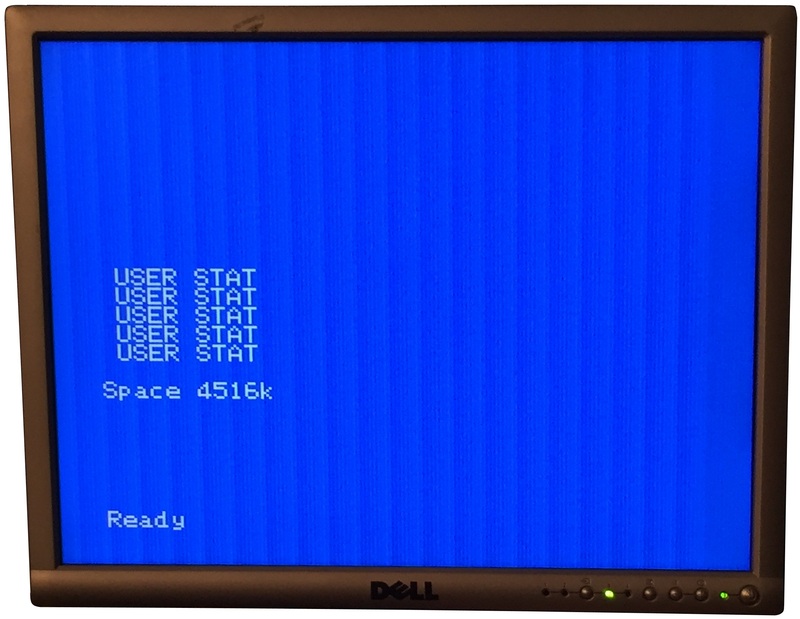 19/03/14 Giving some further thought as to whether a degree of MSX compatibility is possible too, investigating the potential hardware and I/O address issues, see this page for the status of my I/O port study. Also I remember reading that you intend to use 4.7uF electro's for "bulk" decoupling. I now use 10uF around boards, and a 100uF right next to the power input pins, plus another 100uF (or 47uF) at the end of the power traces (the opposite end to the power input). Always have a 100nF in parallel with the electro's. The default configuration for the backplane that I am using provides separate pairs of power and ground planes, suitable for dual voltage systems. These planes allow current to be supplied to the cards in any slot via the pins directly connected to the power (2 & 31) and ground (1 & 32) planes. Although it is possible to cut a track on the backplane and assign one of the ground planes to a third power rail, the third power rail (+12V) in MTXPlus has been assigned to pin 17c of the backplane connector. Although the number of cards that may require +12V is likely to be very small, to reduce the potential to overload this trace on the backplane, power to these pins will be connected by wire wrapping to pin 17c of the individual slot(s). The wire that I intend to use has a maximum current rating of 400mA so this will be the limiting factor on the 12V supply to each card slot. It is likely that I will install suitable fuses on the 12V line for cards that use the 12V supply. In a "late design change", I included the single step instruction circuit that I had seen on the Z80 Computer Project blog. This is a modified version of the circuit included in Steve Ciarcia's “Build Your Own Z80 Computer”, I could not find contact details for the author on the blog page, so hopefully, he does not mind me posting a copy of the circuit description here - the original source of thus information can be found on the Single Step Instruction Circuit page on the blog. "While debugging you may find you would like to step through each instruction executed to assure that the function of your system is correct. Instead of cycling the clock over and over to get through each instruction with a single-step clock circuit, a new circuit can be built to receive a de-bounced button press, and then execute one instruction at the speed the Z80 is set to run at. This requires a single-step instruction circuit. To build such a circuit we will be exploiting two control signals on the Z80, WAIT (Pin 24) and M1 (Pin 27). M1 is an output control signal that goes low each time an instruction is fetched. WAIT is an input control signal that is sampled a short time after the instruction fetch, and when activated suspends the operation of the Z80. To allow only one instruction to execute at a time a D-flip-flop and one-shot are used. First, two NAND gates (74LS00) are used to de-bounce a momentary SPDT push button. The button press signal activates the D-flip-flop (74LS74) triggering the WAIT line to become high, and the Z80 to leave the WAIT condition to run an instruction. After this instruction is run the one-shot is triggered by the next M1 signal which is prompted by the instruction fetch. The one-shot’s output resets the D-flip-flop back which activates the WAIT signal to pause the Z80′s operation. The final toggle button adds a NAND gate and a toggle switch for toggling between an instruction stepping mode, and standard running mode. The finished single-step instruction circuit can be seen below. This circuit is a modified version of the circuit outlined in Figure 4.5 of “Build Your Own Z80 Computer” by Steve Ciarcia which I also display below. Instead of using the 74LS121 as a monostable multivibrator (one-shot) I have opted to use the 555 timer to cut down on the amount of different parts needed. 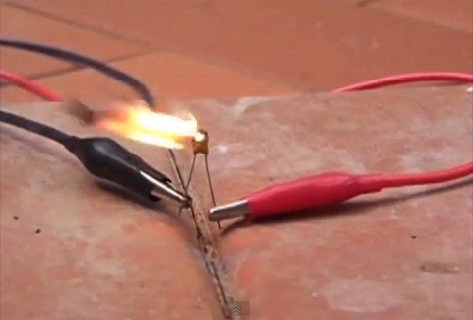 Also, I opt for 10K resistors instead of 4.7K to standardize the components needed." The Paladin Semiconductor PDN747, 7-segment display drivers have now arrived but initially caused me a bit of difficulty when I tested one on breadboard. I could not get any output on the display and the segment output ports were all stuck at logic "1". I made a number of attempts to get some technical support for the chip but Paladin seems to be a tiny company with inadequate resources - that became obvious after I placed the order, and despite a number of promises of imminent shipment, the parts took almost 7 weeks to arrive. When I was trying to expedite shipment of the parts, I discovered that the chip is actually a custom programmed standard logic chip. When I could not get any support from Paladin, I lifted the label on one of the ICs to see if I could identify the host chip and found that it was an Atmel PLD, an ATF16V8. The Atmel datasheet revealed an interesting discrepancy with the Paladin datasheet - pin 11 on the Paladin datasheet is labelled "/BI" and described as "blanking input". I interpreted this to mean that this active low pin would blank the display so had tied it high for testing. The Atmel datasheet labels pin 11 as "I9/OE", in registered mode, pin 11 is output enable, i.e., must be low to enable the outputs. Changing pin 11 from being forced high to being low "magically" turned on the LEDs. At this point, I discovered another problem, the display would only update following a "0" to "1" change on pin 1 - the latch input. I had expected that the latch would be required to "freeze" the display, but when not set, the display would reflect the status of the inputs. Again, the Atmel datasheet proved useful, in registered mode, pin 1 is the clock input and I will need to implement additional logic to control update to the 7-segment displays. M1 - suggested by Martin. "Could you drive the address latches with M1, looking at the Z80 user manual It’s low during the first 2 cycles of the opcode fetch, your address indicators would then follow the program counter, but ignore address bus changes involved with load store. It also goes low on an interrupt acknowledge cycle too, but then would get re-activated on the next instruction fetch anyway. Logic driven signal from the backplane (DIAG). During testing of the CPU board, it was useful to have the CPU board CPLD drive the latch for the 7-segment displays. Although this could have been achieved using a patch wire between the two boards, it does provide additional flexibility for triggering the displays, so it has now been added as a backplane signal. Whilst testing the diagnostic board, I came across a very troublesome problem - with more than one or two buffer chips installed, the enable lines for the buffers and display drivers were sitting at 1.4V - the range for TTL 0 volt rails is 0 to 0.8 volts so the enable pins were being interpreted as being high, disabling the buffer outputs and blanking the LEDs. To anyone who knows what they are doing, the problem may have been obvious, but it was not to me. I initially suspected that I had a bad joint or partial short circuit somewhere, so I spent a lot of time rechecking the connections and looking for shorts. In fact, the problem was not due to bad construction, but bad design! When I decided to implement display blanking, I wanted to be able to set the enable pins for the buffers and display drivers high using a toggle switch, or to be pulled low by default. I thought that the easiest way was to daisy chain all of the enable inputs together and switch them in one. This is the relevant section from the diagnostic board schematic, the "BLANK" signal is connected to pin 6 of the PDN747 display drivers and pins 1 & 19 of the 74LS24x buffers, the display drivers are CMOS devices and the buffers are TTL. I wanted to minimise the power consumption and so wanted a "weak pull-down", i.e., to use a high value resistor. What I had failed to realise is that TTL inputs are actually current sinking, an LS TTL input needs to be able to sink 0.4mA to be interpreted as a logic low. 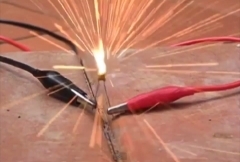 The voltage drop across a pull down resistor needs to be no more than 0.8 volts to meet the TTL specification of 0 to 0.8 volts for a low level. (CMOS devices can operate with much higher pull resistor values and were not a problem here). Pull up resistors are less of an issue due to the wider margin of voltage levels for a high input signal of 2 to 5v. This is significantly less than the 10k resistor that I had used and also the 4.7k value frequently used for pull-ups. Using the formula above, it can be seen that a single LS TTL gate would could be pulled to 0.8V with a 2k resistor, but my 10k for 14 (or more) inputs was well wide of the mark. When I was looking for a suitable replacement value for the resistor, I was initially worried about the power requirement, so, I tried reducing the 10k value by "trial and error" to find a suitable value that would draw the minimum amount of current and found that a 1.3k resistor seemed to work. Update : When I built an adapter to allow the board to be used with a standard MTX, I found that the elevated voltage on the enable pins caused some problems, including the displays failing to recover from being blanked, so I decided to replace the pull-down with the correct value. The closest standard resistor value less than 143 ohms is a 130R which would result in "wasted" power of about 38mA but this is fed from the 5v line that only powers the display drivers, but not the displays themselves, so that will not be a problem. It does illustrate why TTL pull-downs are not recommended - they use a lot of power. After replacing the resistor, the intermittent display problems etc. went away.. 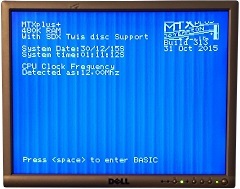 The kit of parts that we received from Lez included a Dallas DS12887 RTC, this is a "drop–in" replacement for the IBM AT computer clock / calendar, it is compatible with the Motorola MC146818B used by IBM and the compatible Dallas DS1287. The DS12887 self–contained subsystem and includes lithium battery, quartz crystal, support circuitry and an expanded area of 114 bytes of general purpose non-volatile static RAM (NVSRAM). 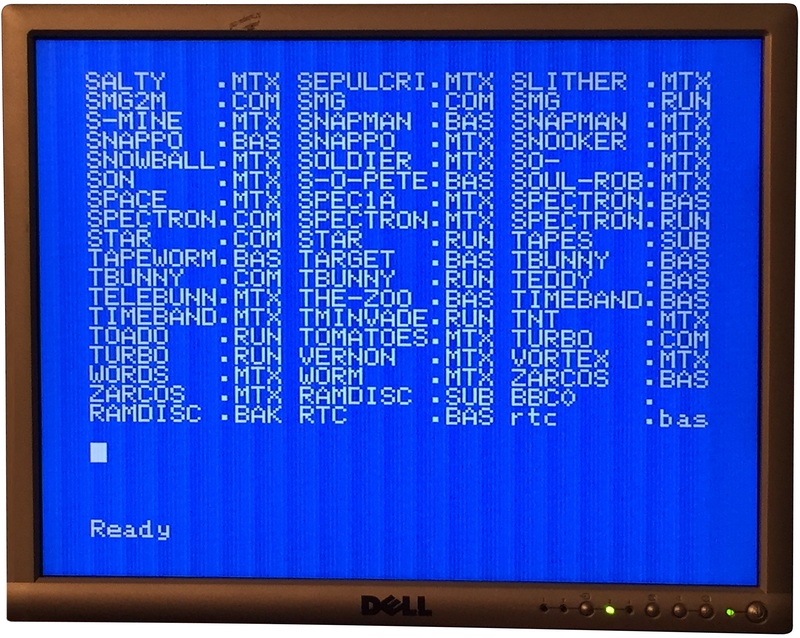 There are not many examples on the web of the use of this RTC on a Z80, but I did find this really helpful article written by a Wilf Rigter around 1996. The article demonstrates the use of the DS1287 with a ZX81 and included examples of Z80 assembler and BASIC programs to access the chip. Martin was able to use this information with the DS12887 and modified address decode logic to make a working RTC that will be included on the MTXPlus+ CPU board. With the Yamaha V99x8 being used in the later models in the MSX range (MSX 2, 2+ and Turbo R), there are copies of OEM service manuals available on the web that show how the VDP was implemented. As you would expect, the input side of the circuits are pretty consistent, i.e., the CPU interface, clock generation and VRAM interface. However, there is much more variation on how the RGB outputs were conditioned for the TV/monitor, some designs used transistor circuits to amplify the RGB outputs and other systems used a Sony CXA1145 RGB Encoder to generate a composite and/or component output as well as the RGB. The Sony chip is obsolete and the only datasheet that I can find has very little English in it, the ES71145 is functionally equivalent and has an English datasheet available. It appears that just about every MSX manufacturer had a different implementation of the video output circuitry, particularly when using the CXA1145 where the values used to implement the required band-pass filter varied widely. The easiest solution to implement appears to be an RGB only output, but I would also like to have a composite video output available. To allow the video board to support two versions of the video output circuit, the board will have pin headers to allow an appropriate daughter board to be connected - very much like the design of the original MTX video board. The daughter board will also provide other headers for the TV/monitor audio and video output options. 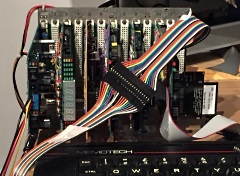 We felt that using a header rather than mounting the SCART socket or other connectors directly on the video or daughter board would put less strain on the board and provide more flexibility in use. The other advantage of having the output components on a daughter board allows us to design and build the base video board while we finalise the output configuration and should enable easier "tuning" of the output side of the video board if required. Still struggling somewhat to find a suitable circuit design for the output side of the video board, I came across the GR8BIT project. GR8BIT is a Z80 based hardware and software project, supplied as a self-assembly kit, based on an ATX type motherboard and a bus architecture, with additional boards providing, CPU, Memory, Video functions etc. that plug into the system bus. (full specifications). GR8BIT is capable of running MSX2 software and uses a Yamaha V9938. I was very interested in how GR8BIT had implemented the V9938 design and contacted the designer, Eugeny Brychkov. Eugeny was very helpful, pointing me to the video board design on the Yamaha YIS503 MSX2 machine and also the GR8BIT Knowledge Base article on adding Composite and S-Video output (KB0014). In addition to the RGB output, I intended to include a component or composite video output and, being in the UK, I had planned on making the output meet the PAL standard rather than NTSC. However, during our discussion, Eugeny pointed out that most modern TVs can accept both PAL and NTSC signals. The VDP has an NTSC compatible clock output available (3.58 MHz) but a PAL sub-carrier clock (4.43 MHz) would require an external crystal oscillator and associated circuit. To make things easier, the video output from MTXPlus+ will now be NTSC, this may give problems with older TV's, but a PAL compatible output could be added later if required. Other learning's for this week include a better understanding of the differences between the VDP composite sync pin between the V9938 and V9958. On the V9938. the CSYNC line on Pin 6 is a tri-level logic I/O pin : High for composite sync output and Low for VSYNC input. To use the CSYNC output with a V9938, the tri-level logic signal has to be converted to a 2-state signal. This is not required on the V9958 where Pin 6 is composite sync output only, this helps explains the differences between the CSYNC circuits between the MSX machines using the different processors. Although the V9958 will run V9938 software, the are some minor hardware differences between the two VDPs which means that some parts of the V9938 VDP output circuit design need to be modified to work on the V9958, for example, the CSYNC signal described above. Notwithstanding Eugeny's help with the V9938 circuit, I continued to look for examples of implementations of the V9958 by MSX manufacturers. Having been used in various MSX2 machines, there are quite a few, albeit different, designs using the V9938. The V9958 were used in a smaller range of MSX 2+ machines manufactured by Panasonic (FS-A1FX, FS-A1WSX, FS-A1WX), Sanyo (WAVY PHC-70FD, WAVY PHC-70FD2, WAVY PHC-35J) and Sony (HB-F1XDJ, HB-F1XV ), the last machines in the MSX range were the Turbo R computers, only manufactured by Panasonic as models FS-A1ST and FS-A1GT. MSX 2+ and Turbo R machines were only produced for the Japanese market, so the few circuit diagrams that are available are in the Japanese MSX service manuals. I have not been able to locate service manuals or schematics for any of the Sanyo or Sony MSX2+ machines, but Hans Otten's MSX Info Pages has copies of the Panasonic FS-A1FX circuit diagrams and the full service manuals for the FS-A1ST and FS-A1GT. These circuit diagrams will form the basis of the "digital" video card daughter board, using a slightly more modern version of the Sony CXA1145P, the CXA1645P to output RGB, Composite and S-Video. As Martin is uncomfortable using the very old Sony parts, the "analogue" daughter board will be based on the MSX2/V9938 design, using transistors to amplify the VDP RGB outputs. 04/09/14 Video Board - "Lesson Learned" about Tantalum Bead Capacitors ! With the Video board built and the Daughter Board fitted, I had a bit of a setback. I was unable to get a picture from the V9958, and even worse, with the Video board connected, the MTX now had problems - it would boot OK, but had various issues, including corrupted display, random freezes and crashes to PANEL. Removing the DB and all of the ICs on the video board, the problem was seen to occur once the GAL was installed. I initially suspected that I had created the problem by breaking or shorting a connection on the wire side of the board as I messed with the DB. Having retested the board with a meter and not finding any faults, I tried disconnecting the pins of the GAL (using an interposing spare socket between the socket on the board and the GAL and bending the legs out of the way) in groups, starting with the outputs then the Z80 control signals. To my surprise, I found that the problem was being caused by the /M1 line, although the GAL verified correctly on the programmer, it caused the problems described. Replacing the GAL has fixed the problem. Martin got to the stage of testing the video board SCART outputs before I did and found that the composite video output was not working when connected via the SCART connector. We were not aware that SCART cables have cross-overs in the connections for audio and composite video. 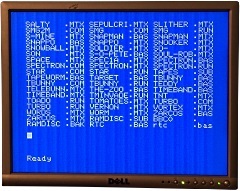 Making the cross-over between pins 19 and 20 in the SCART connection allowed the composite video signal to be displayed on the TV. Once again, Martin got to testing the CPU board before I did and found that he could not get the Z84C0020PEC CPU to work above 10MHz. Having tried a second CPU and having been able to run a known good 10MHz chip reliably at over 20MHz, we suspected that the "20MHz" were not what they purported to be. I have made a few notes on counterfeit chips on a separate page, but in summary, based on some limited testing and close inspection of the chips, we believe that the "Z84C0020PEC" CPUs are actually remarked Z80H (8 MHz NMOS) rather than 20MHz CMOS, so we will need to source replacements if we are to run the CPU at 16MHz. 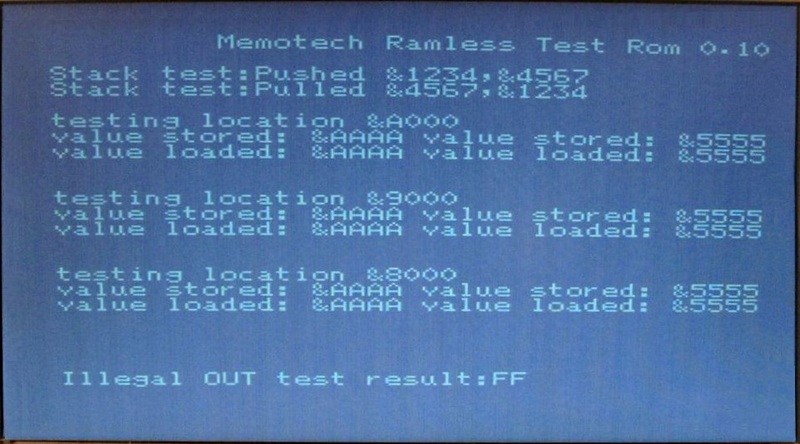 As described on the counterfeit chips page, I did a bit of "Googling" and found a method of determining programmatically whether a Z80 was an NMOS or CMOS version. During testing of the CPU board, it became apparent that there was a problem with the 74HC245 buffer that I had installed between the on-board data bus and the backplane. Tony Brewer was quickly able to pin-point the problem with the way that I had configured the data buffer. In my original design for the CPU board, based on references such as Steve Ciarcia's “Build Your Own Z80 Computer”, the address and data buffers were configured on the outlet pins of the Z80. Someone queried whether this position was necessary, i.e., whether it was really necessary to buffer the bus lines for the components installed on the board. Not knowing the reason they were in that position in the first place, I relocated the buffers to the where they just buffered off-board access to the bus lines. I was really just thinking about the ability of the CPU to drive multiple devices on the bus, but using CMOS devices, this is not likely to have been a problem anyway. Unfortunately, I had not understood the effect that this would have, Tony advised that the "A" side of the buffer should be connected to the Z80 and nothing else. The "B" side of the buffer should be connected to the memory on the CPU board and the backplane. Tony explained that with the "B" side of the buffer connected to the backplane only, then there would be a conflict when the CPU was trying to read ROM or RAM as the 74HC245 buffer would also be driving the on-board data lines. Tony also provided a useful reference to the Tatung Einstein schematic. In the short term, testing will continue with the data buffer bypassed until I can rework the CPU board to re-position it where it should be. Tony also advised that Buffer output enables should be actively switched, rather than just connected to ground. connected to +BUSACK (/BUSACK inverted), not ground. /RD is much better than /WR for direction control, but /RD by itself is not enough as you need to cater for reading interrupt vectors if the CTC is on the B side of buffers. On the subject of busses, the Z80 address bus is unidirectional, i.e., only the CPU drives the address bus and direction is not really meaningful. When an external device wants to take control of the busses, it sets BUSRQ low to request the Z80 take the address bus, data bus and tristate control outputs to the high impedance state. When this is done, the CPU sets BUSAK low. This is not an issue at the moment, but should external devices, such as a DMA controller be needed, the position of the address buffers would be problematic as components on the CPU board would become isolated from the address bus. When the host transmits data to the printer, it first places an eight-bit byte to be sent on the DATA lines, DATA0 through DATA7. Once those electrical levels are stable, the STROBE* line goes LOW for 1.5 microseconds, plus or minus 500nsec. The printer is alerted to the presence of new data when the STROBE* line goes LOW. We had intended to use the Motorola bus timing mode for the RTC, but have decided to change to the Intel mode instead, to enable Intel mode, the MOT pin will will now be tied to 0V, rather than 5V. For flexibility, a jumper has been added to the board design to enable selection of Motorola (+5V) or Intel (0V) bus mode. My original I/O board design was based on the use of a Z80DART for the serial ports, however, Martin questioned whether the same situation would exist as with the CTC, i.e., that the DART had to be clocked at the same rate as the CPU. In this case, the Zilog documentation is a more explicit and says "“The Z80 DART uses the standard z80 single-phase system clock to synchronise internal signals”. Therefore the I/O board will now use a CMOS Z84C4010 - as with the CTC, the fastest available in a DIP package is 10MHz. An 82C55 Programmable Peripheral Interface (PPI) will be used to provide an IDE interface to a Compact Flash (CF) reader for non-volatile storage. For 8 bit microcomputer like MTXPlus+, a large hard disk would be overkill, and even a relatively small Compact Flash card will provide more than adequate storage for the system. Compact Flash cards contain an embedded IDE/ATA controller and can be interfaced in exactly the same way as an IDE hard disk. CF card readers that connect directly to an IDE interface cable are readily available and cheap - Lez also included one in the kits of parts that he provided. The IDE standard provides for both 8 and 16 bit data transfers, as it is simpler to implement, a number of "homebrew" IDE interfaces use 8 bit mode, but 16 bit mode will be used for MTXPlus+. The IDE/CF interface will be based on the S-100 IDE Interface board found on the S100 Computers website, but, due to space limitations on the MTXPlus+ I/O board, will only feature a single IDE/CF connector and a single status LED (Activity). The intention is that the CF card will be FAT compatible and can be written/read on a PC to facilitate creation and editing of "disks". The S100 site also makes available the source code for a short diagnostic program (MYIDE.ASM) written by the board designer. The source is in 8080 assembler, but was a lot easier for Martin to translate to Z80 than the 8051 code that he had seen. This text file, courtesy of Martin, is a copy of the draft ANSI standard for IDE. The I/O board has two Altera EPM71xxS CPLDs installed, these are "in-system" programmable using a JTAG interface. The two devices can be multi-dropped and individually selected by the programming software when required. Although I believe that the two devices will operate over JTAG without issue, I think that it is usual to install buffers for each device. Since board space is at a premium, I have chosen not to install any buffers, but each device can be connected/disconnected to/from the JTAG lines using jumpers on the front edge of the board. Initially, both CPLDs will be connected to the bus, but if problems are seen, then the devices can be individually disconnected. Wikipedia diagram of diasy chaining JTAG devices TMS and TCK are directly connected to all devices. TDI and TDO pass through each device in the chain. When I got back to investigating the video issues, I lost a few hours with an annoying problem with the keyboard that I think is worth a mention. The keys at the very left of the keyboard were behaving very oddly, they worked perfectly at 4MHz, but misbehaved at faster speeds, generating incorrect, but repeatable codes. Replacing the keyboard had no effect on the problem, nor did replacing the ICs on the I/O board. 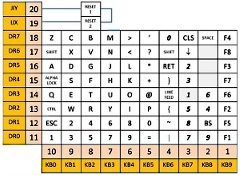 This diagram, from my MTX keyboard technical note, shows that all of the affected keys are connected to the KB0 sense line. The wiring on my I/O board is pretty congested and I suspected that a bad solder joint or other physical problem could be the cause, so I spent quite a while checking and remaking connections on the KB0 sense line. When that did not reveal a problem, I did the same for data line D0, which is used to read the KB0 sense line. The D0 connections on the board also proved to be fine. The only remaining component was the keyboard interconnect cable. The cable that I had been using was a brand-new, 40-pin IDE cable, supplied by HP and still in it's sealed packaging when I started to use it. I did not have an equivalent cable easily to hand, but when I managed to dig out another cable, the problem was fixed! I still find it surprising that a "bad" cable could work without fault at 4MHz, but fail at faster speeds, but that was the case. The time taken to find & fix the problem was exacerbated by not having another cable available - aaaarghhhh! I had been experiencing issues with the stability of the system for some time, at faster CPU speeds, the system was very sensitive to the position and spacing of the boards on my backplane, an issue I put down to the lack of proper termination on the bus. I had been considering trying to build a couple of bus terminator boards to put at either end of the minimum number of slots required to install the boards, perhaps 13 backplane slots, allowing for the required clearance between the boards. I had previously borrowed a reduced sized, hand wired, backplane from Martin and had not seen the issues when running with a smaller bus so I was pretty confident that the issues were bus related. However, I was not confident in my ability to design proper bus terminators and decided on a more radical, perhaps even reckless, course of action . . . . .
What you see here is the new, "cut-down" (literally), MTXPlus+ system backplane with 13 slots and 6 boards installed. Limited testing has shown that it has not had any adverse effects and it does appear to have helped the system's stability, at least up to 12Mz. The CPU runs quite happily at 12MHz, but you can see some video corruption in this photo. 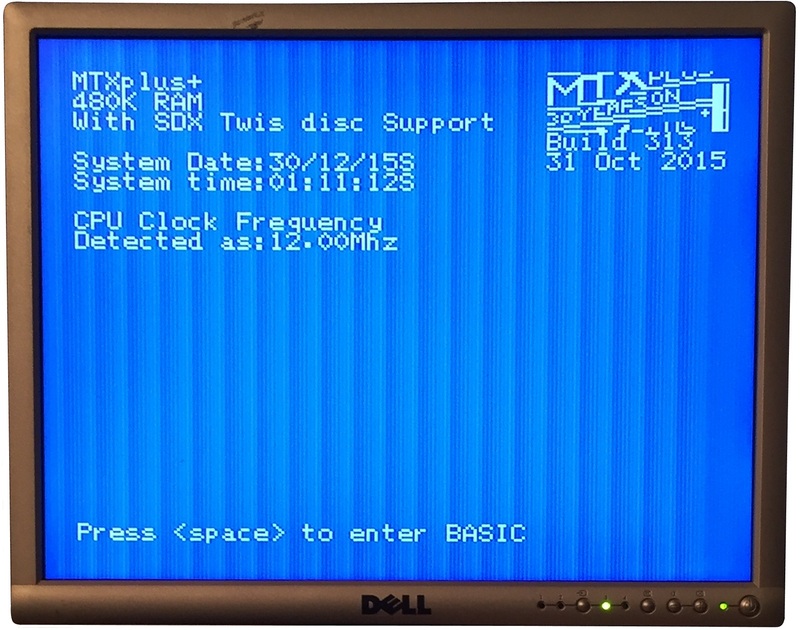 This is the MTXPlus+ "Duo" ROM mono CP/M system, booting in 40 column mode, with the VDP writes being slowed using the CPU WAIT signal. The system booted CP/M without issue, but also showed display corruption at this speed. Also at 12MHz, this is the "Duo" ROM colour CP/M system, booting in 40 column mode. This ROM also inserts software waits that are good for up to 20 MHz. Note the lack of corruption to the video display that was seen in the previous image. With the same configuration, the system boots happily at 16MHz and has uncorrupted video display. However, the system will not boot CP/M, some video corruption is present on the 80 column screen and the system can not "see" the Compact Flash drive. 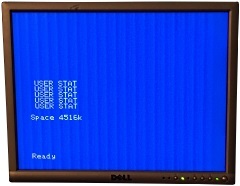 Although it is not reliable, the CF drive occasionally responds to commands from BASIC, in this example, after 5 attempts, the system responds to the STAT command. The behavior of the CF drive was not consistent, sometimes resulting in "BDOS Errors", sometimes resulting in the system reporting "No Line" in response to BASIC commands, and, very occasionally, actually working. Using different 82C55s from the same or alternative manufacturers sometime produced different effects, but on the whole, the behavior was pretty haphazard. A selection of different manufacturers 82C55s are shown in the table. 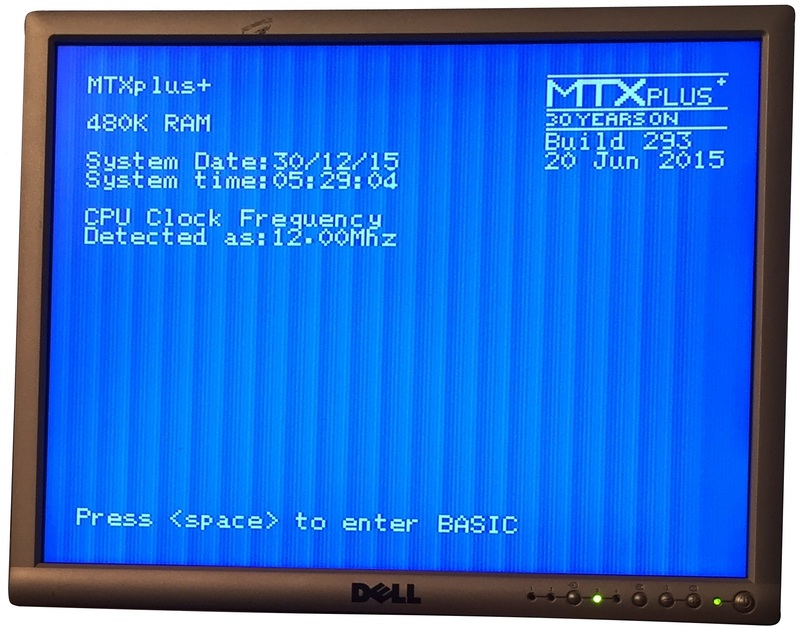 None of the chips have a speed rating anywhere close to the system clock speed of MTXPlus+, 8MHz is the fastest 82C55 available, but that is not necessarily an issue. The Z80 timing diagrams show that IORQ and RD/WR are valid for just over 2 cycles, which translates to the figures in this table. It can be seen that the 5MHz PIAs are only likely to work with a CPU clock speed of < 8MHz and none of the others are likely to work reliably at 16 or 20MHz. Although the CPU operates quite happily at 16MHz (and beyond), the system is constrained by the maximum speed of the I/O and peripherals. A lot of effort (with a great deal of assistance from Tony) was put into getting the VDP to operate above its rated speed by inserting hardware wait states. Whilst the problem was not completely resolved for speeds above 12MHz, other constraints have emerged that mean that it's a moot point anyway. The I/O board uses an 82C55 PIA to drive the Compact Flash reader, the 82C55 is only available with a maximum speed rating of 8MHz (this is not necessarily the system clock speed). 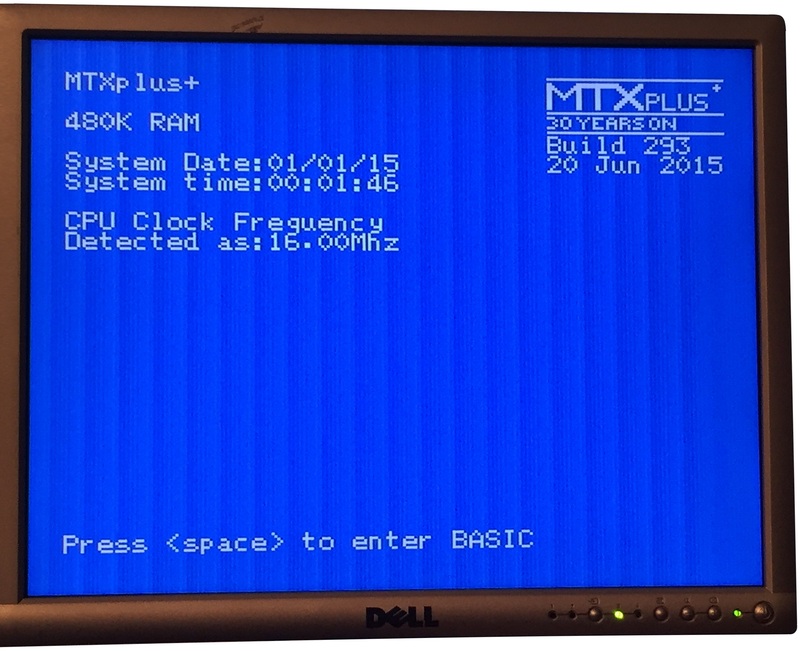 At speeds above, say, 12 MHz, operation of the CF reader on MTXPlus+ has proved to be problematic. In addition, the Z80CTC and SIO are only available in speeds of up to 10MHz.